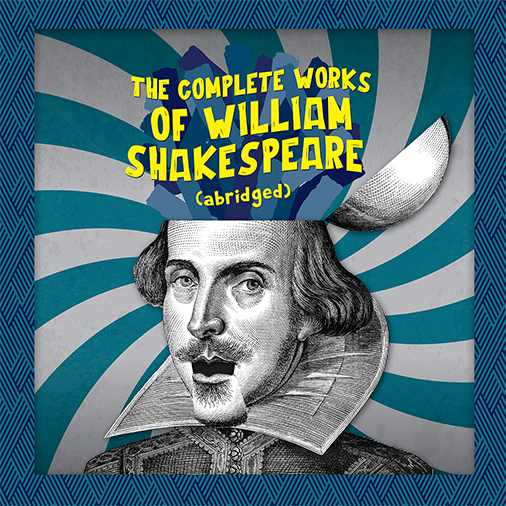 A fast-paced and absolutely hilarious ride through 37 of Shakespeare's plays in only 97 minutes! Three madcap men in tights using a trunk full of props, wigs, and outrageous costumes are on a mission: to bring you the entirety of the works of William Shakespeare in one fell swoop. Join them as they weave their wicked way through the works of the greatest English playwright in one wild ride that will leave you breathless and helpless with laughter. REP Members receive 20% off General Admission tickets. To receive your member discount simply apply your Member ID as your coupon code during checkout. Not a REP Member? Membership packages start at just $60/year and are filled with perks like members ONLY events, special ticket offers, 20% discount on mainstage productions, and gives members an instrumental role in making a difference through the arts. Become a REP Member HERE.